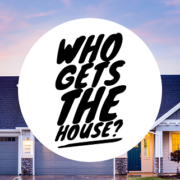 A neutral facilitator, who generally has a license in therapeutic services, is usually engaged to help the spouses reduce costs to focus on the what is most important to them (i.e., their children or their financial futures) rather than the arguments of the past. A neutral financial professional is also oftentimes utilized to help ensure the parties can make informed decisions (think trust, but verify) and assist the spouses to budget and figure out creative ways that assets may divided to minimize the impact on a private business. 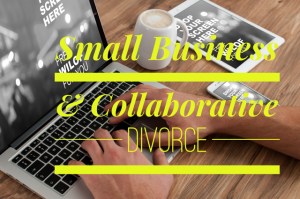 Further, any business valuations in collaborative divorce are done by a neutral person rather than the spouses having to both hire competing valuation experts at double the costs as is the norm in litigation. Discussions are had in private and are confidential, and so business owners can have protections against sensitive company information being made public. And, once the newly signed Collaborative Law Process Act goes into effect, discussions had during the collaborative process will be protected by a statutory privilege. If you are a small business owner who is going through divorce, or advising employees going through divorce, the collaborative family law process just make sense. To learn more about collaborative divorce in Tampa Bay, schedule a consultation with Adam B. Cordover at (813) 443-0615 or CLICK HERE to fill out our contact form. Adam B. Cordover is a founding member of Tampa Bay Collaborative Trainers and teaches attorneys, mental health professionals, and financial professionals how to offer collaborative family law services. He is co-author of an upcoming American Bar Association book on Building a Collaborative Law Practice, and a former president of Next Generation Divorce, Florida’s largest collaborative practice group. Tampa Collaborative Divorce: What About the Cost?